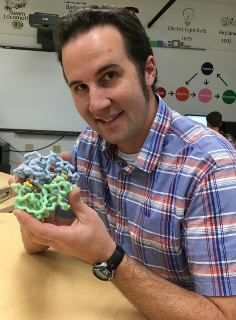 Jim Lane, holding a model of the human CFTR protein that is responsible for causing cystic fibrosis. MAEF is proud to support teachers like Jim Lane who give so much to Mahtomedi students and help further scientific exploration. Jim, thank you for your commitment to our students and the natural world.